~ Brian Witten, Producer (American History X, Friday the 13th). 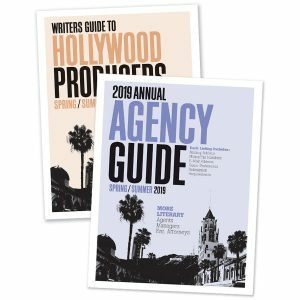 The Annual Agency Guide has up-to-date listings including: names, addresses, phone, fax, email, each representative’s genre preferences (e.g., comedy, sci-fi, thriller), submission requirements and a handy log to keep track of your submissions. 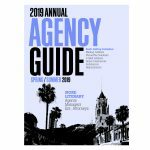 Plus, advice from agents on the best way to find representation, tips on marketing, pitching, and writing query letters. Updated quarterly. 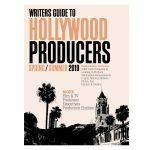 The quintessential Hollywood producers directories. Not only does the Writers Guide to Hollywood Producers include the names, addresses, phone, fax, email/website, and credits of Hollywood buyers and studios; it also includes what kind of material (i.e., genre, budget) each company is looking to produce, each entity’s submission requirements (e.g., with signed release form, email logline first, referral only, via entertainment lawyer, etc. 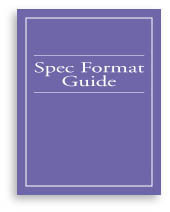 ), and whom specifically to submit to. Updated quarterly. PRE-ORDER THE SPRING/SUMMER EDITIONS NOW! Ships April 26th.